In October, we introduced you to a rapper named NF who is gathered a big following. Three months later, he still seems to be the biggest rapper you’ve never heard of. The talented Gladwin, Michigan emcee’s single ‘Let You Down‘ continues to kill the charts — it has reached the number 15 spot on the Billboard Hot 100 this week. It was the lead single off his latest album Perception but NF is now moving forward into a new era with the release of a new song ‘No Name’, his first release since the third album. On the fiery track, the rapper spits about his growth as an artist, dealing with fame and his new found success. 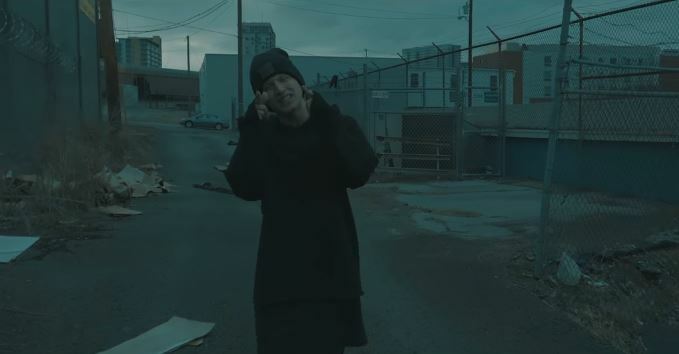 “Small circle, but the number’s growin’, Fame called me, I’m like, “How you doin’?” Hung up on him, I ain’t ready for it,” raps NF on the track which comes along with a dark music video. Watch it below.